After her husband suddenly returns from a highly mysterious, year-long mission, a biologist is whisked away to investigate a covert area of the United States, which had been impacted by a meteor strike. 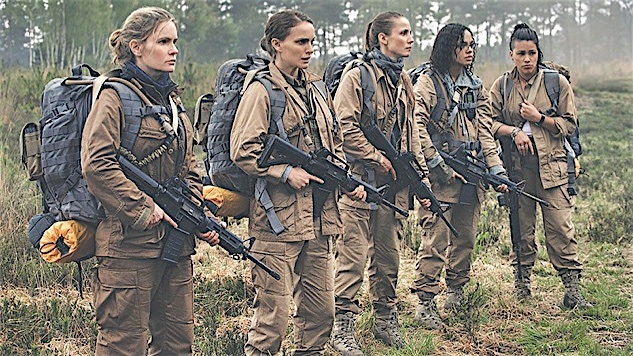 Loosely based on the first book of Jeff VanderMeer’s Southern Reach trilogy (more on that someday), this story of a deeply mutated area of the country, and how it impacts the people who investigate it, seemed to be the perfect follow-up to writer Alex Garland’s directorial debut Ex Machina. And, at times, it is exactly what one would hope to see from the man who gave us one of the best android stories committed to film. When Garland leans the film heavily into either horror or strangeness, it’s exquisite. The last thirty minutes of this movie are a fascinating trip into the unknown, and brief moments leading up to it (moments that would have felt in place in Bryan Fuller’s gorgeously horrifying Hannibal television series) lead one to believe that the strangeness could be here to stay at any moment. Alas, that is not the case. Much of this movie remains relatively grounded in reality, or as close to reality as the setting of the film will allow. 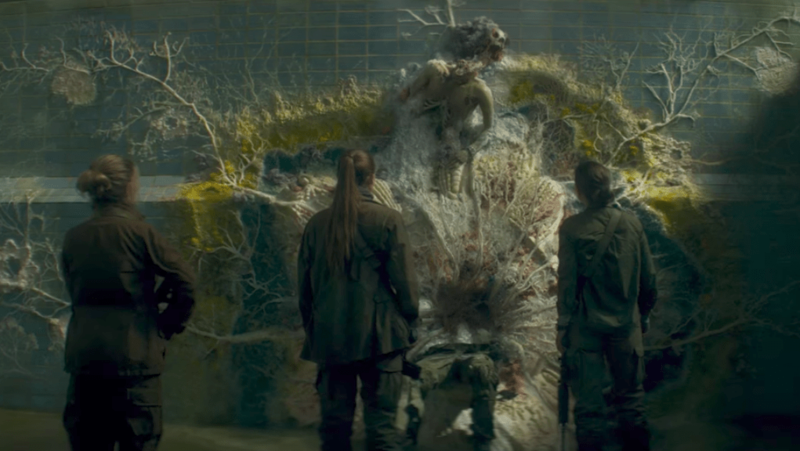 Strange creatures and impossible floral decor abound in The Shimmer (the world beyond the bright and permeable border), but the movie rarely allows the strangeness to settle over the audience. Instead, we spend much of the time with how the characters respond to it, and most of these characters leave something to desire. Academy Award nominee Jennifer Jason Leigh is directed into a bland aloofness, that never allows the character to approach anything resembling complexity. Golden Globe Award winner Gina Rodriguez has the opposite problem, of compellingly portraying a bland character who mostly is just there to try to add unnecessary conflict among the group. Tuva Novotny and Tessa Thompson both make the most of their relatively little screen time, leaving one to wish that they both had been given the opportunity to work with more material. The other member of the team, the film’s lead, is portrayed by Academy Award winner Natalie Portman. Portman is a remarkably talented actress, and that is mostly on display in this film. Lena, her character, is intentionally meant to be a morally gray character who is difficult to sympathize with, and both of those traits need to come through in order for the audience to understand why she would be willing to accept what basically amounts to a suicide mission to explore The Shimmer. 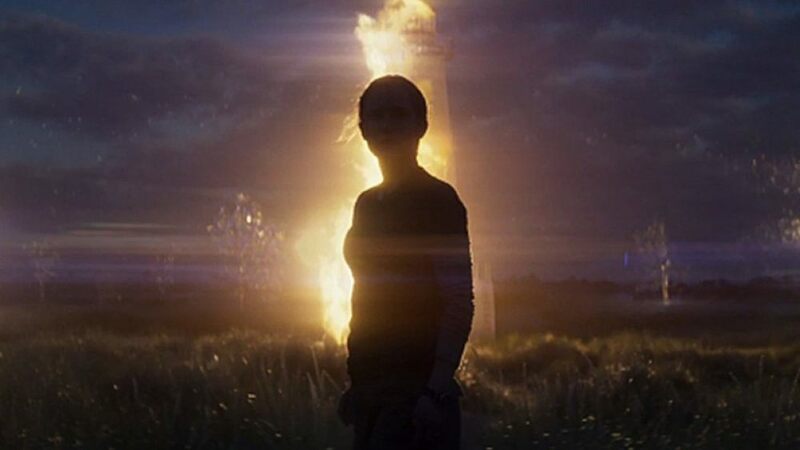 Portman does good work, utilizing time outside of The Shimmer, both at the start of the film, and through admittedly frustrating flashbacks, to give us an understanding of who Lena is, and the base amount of sympathy to go along with that, so that when the film reaches its climax, we care about her well-being. Which brings me to the conclusion of this film. Starting with a scene featuring a horrifying creature, and continuing through the rest of the film, the end of this movie sticks with you in the strangest and most wonderful of ways. The final confrontation of this film is unlike anything else I’ve ever seen and to try to explain it would do the film a disservice. Just know that it’s fascinatingly weird, and that there’s a very real chance you are going to hate it. But damn, I hope you don’t, because I loved every second of it, and didn’t want it to end. This seems as good a time as any to praise the rest of what deserves praise in this movie. The production and set design by Mark Digby and Michelle Day, respectively, allow the mysterious and otherworldly Shimmer to feel just that, all while keeping a wonderful beauty to it all. I spent so much of this movie wishing that I could spend more time actually exploring The Shimmer for myself, instead of having to watch the characters react to it. Even when it is horrifying, which it frequently is, the overall makeup of it is so gorgeous you can’t help but look. As I mentioned before, it calls back to the murder tableaux from Hannibal, something that somehow balances terror and beauty in an exquisite way. The design of The Shimmer, as well as the aforementioned confrontation, are elevated by the striking score composed by Ben Salisbury and Geoff Barrow. Bouncing between simplistic acoustic guitar and heavy synthesizers, their score is the perfect fit to VanderMeer’s world, as interpreted and (heavily) changed by Garland. Overall, the film is fine. The first two-thirds are a textbook study of what could have been (what if they combined Gina Rodriguez and Jennifer Jason Leigh’s characters, and gave the performance to the on-the-rise Rodriguez? What if the film had committed and focused on the strangeness of the world instead of trying to give us an explanation for it? What if Korg was in every movie?) And then, the film commits to the strange, and gave me one of the most memorable half-hours of film I have ever been lucky enough to experience on the big screen (please see this on a big screen. Fer yer health). If only they had just given me two hours of glorious weirdness. If only.